This month, I have been reading a bunch of new books for middle readers - independent readers who are tackling chapter books and are in the seven to 12 age range. Please allow me to introduce to you some of the characters I have met. Each book below is the latest release in a series. If you like a title character you can easily find his/her previous adventures in other books. Calvin Coconut is my new friend who lives in Hawaii. He’s a fourth-grader and his mom refers to him as her “man of the house.” That’s a bit of a burden for a young boy and Calvin isn’t always prepared to shoulder such responsibility with grace. He is like many of us: a little careless, a little selfish and a little silly. He’s also clever and quick to learn. Calvin has depth. 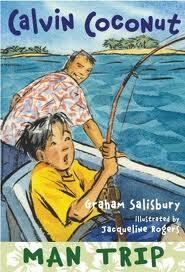 Calvin is the likeable star of seven books by Graham Salisbury, including the one I just read, Calvin Coconut: Man Trip (Wendy Lamb Books, 2012). In the story, Calvin faces everyday hurdles with more dignity and compassion after a pivotal deep-sea fishing excursion with mom’s patient boyfriend, Ledward. For those of us who thought fishing was a silent, sleepy activity, this book is a revelation. Calvin’s day of adventure with Ledward and Baja Bill opens his eyes to some important lessons about respect, responsibility and living out your dreams. The pacing of this book is great, the setting is exotic to those of us in the contiguous states and the level of fishing excitement is high. Ledward and Baja Bill are terrific models of masculinity and compassion for young Calvin who must learn how to be a vital part of his world instead of remaining a detached bystander. I’d like to have a backyard barbecue and invite Calvin, Ledward and their friends. 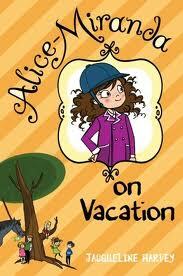 Alice-Miranda Highton-Smith-Kensington-Jones is the lyrical name of another character that I have just met this month in her second book, Alice-Miranda On Vacation, by Jacqueline Harvey (Delacorte Press, 2012). Alice-Miranda is a wealthy though unspoiled girl of seven and one half years. Her first book tells the tale of her first semester at boarding school, and this one is the story of her two-week break at home. Alice-Miranda and her friend Jacinta find more adventure than they bargained for, including an unpleasant boy named Lucas, a naughty pony, and a mysterious stranger visiting Granny Bert. The first chapter charmed me; Alice-Miranda is spunky and has a cheery disposition like the classic literary characters Pollyanna, Pippi Longstocking and Anne of Green Gables. But I was soon overwhelmed. There are far too many characters (there’s a four page list in the back of the book) and there’s positively too much going on to explain. Perhaps if I had a younger brain I’d be able to keep up. The slow plot and lack of character building couldn’t sustain my interest for a whopping 279 pages. This is a book that I wanted very much to like, but I had such difficulty slogging through. So, Alice-Miranda and I won’t be good friends, but I like her well enough that I’m rooting for her. Now, let me introduce you to my buddy Mason Dixon. He’s a character created by Claudia Mills and is now starring in his third book, Mason Dixon: Basketball Disasters (Knopf, 2012). Mason is a fourth-grader who has survived pet disasters and choir disasters only to be confronted with the looming challenge of joining the basketball team. Mason, however, is very reluctant to try new things. It's his nature to see the proverbial half-empty glass, always predicting that he will be bad at any activity he hasn’t tried before. But when Brody needs him, Mason is game to try. I like Mason because he has a complex inner life. His thoughts have all the sarcasm and dread that a typical fourth grader might feel. It is a fear of embarrassment that creates this negativity. But Mason is never sour. There are a few situations where he would like to return rudeness with further rudeness, but he controls his first impulse and, with time, learns that things are really not so bad as they seem. 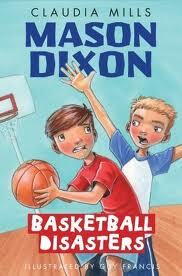 Mason Dixon is a guy worth reading about. 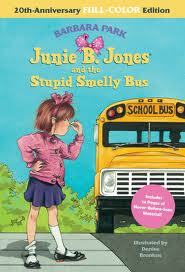 Author Barbara Park is celebrating 20 years since her acclaimed character Junie B. Jones first appeared in the publishing world, in the anniversary edition of Junie B. Jones and the Stupid Smelly Bus (Random House, 2012). The story follows Junie B. on her first day of kindergarten. She’s a cheeky, sassy girl who doesn’t have a “quiet voice” for the library. Her stomach feels “squeezy” from nervousness over riding the bus, so she decides she’ll just slip out of line at the end of the day and not go home at all. Endearingly annoying Junie B. happily explores the empty school until a bathroom emergency brings the firemen, police and rescue squad to her aid. Far from feeling friendly, if Junie B. were my daughter, I’d take her home and give her a well-deserved spanking. But I probably would have liked her when I was a youngster because she reminds me of some of my favorite messy characters like Beverly Cleary’s Ramona Quimby and Judith Viorst’s Alexander. 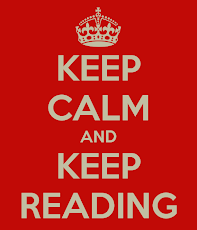 M. D. Clark loves finding new literary friends to cherish and share. Charlie has begun reading the one book (Calvin coconut: Man Trip) and loves it! Believe me this is hard to find. Thanks and i'm excited for him to read the next 3! I didn't like Junie B. either, but will try the Calvin Coconut and Mason Dixon books for my third grade son. Thanks!